Home Décor NORDEN / Set of Three Candles, 3 x 5oz. 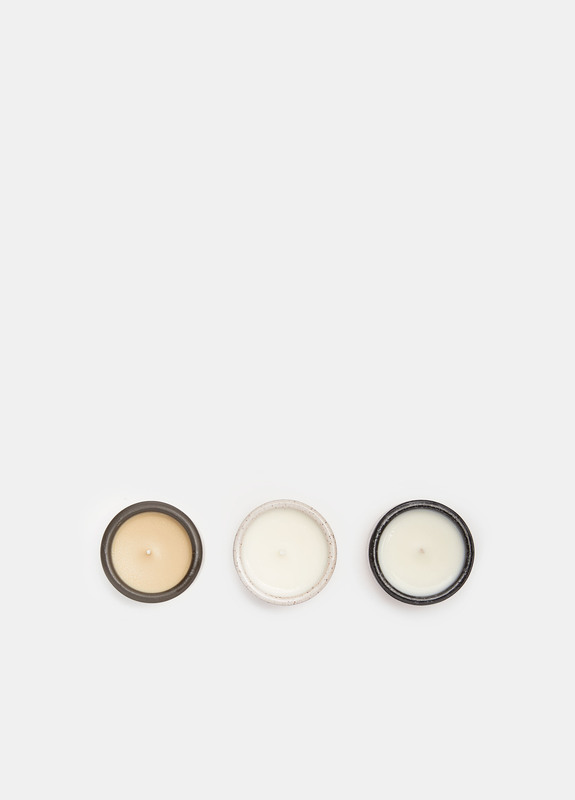 NORDEN / Set of Three Candles, 3 x 5oz. 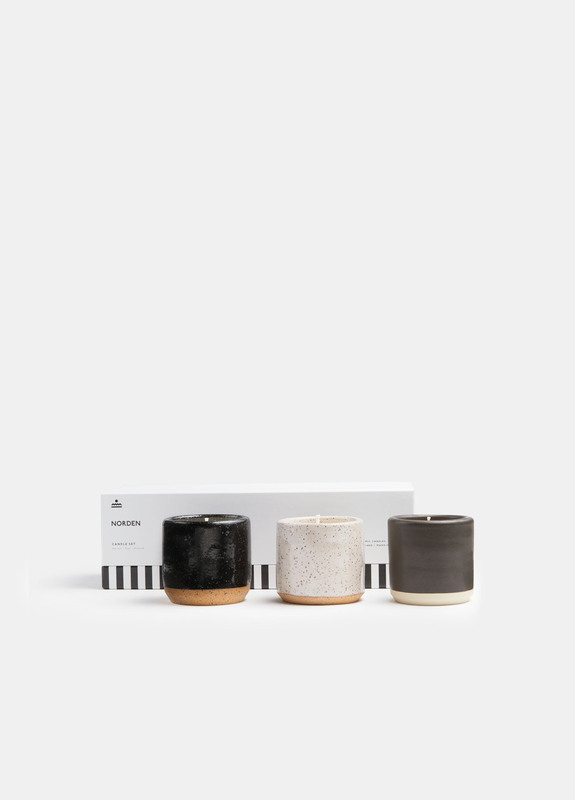 Crafted by California-based Norden with apricot and coconut wax, this set of three candles is packaged in a custom decorated box. The Øresund fragrance has notes of balsam fir and grapefruit, Ojai has hints of patchouli and cypress, and Big Sur smells of oak moss and pine. Stoneware vessels can be washed out and reused after burning. Box measures: 11" x 4.25" x 3.5".